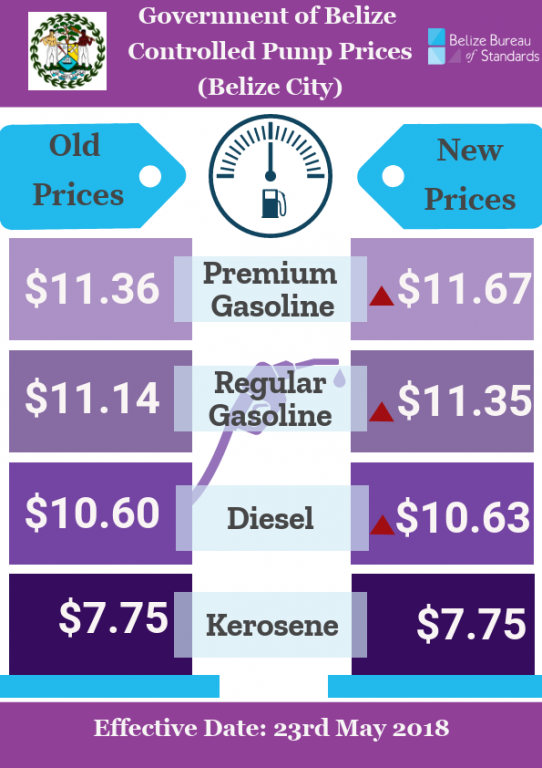 Wednesday, May 16th marked the fourth increase in prices and during a press conference, Prime Minister Right Honourable Dean Barrow stated that he has no control in the constant increase of fuel prices since the world price of oil is rising. “When prices to the consumer go up in this country it is as a result of factors completely beyond our control. We have not raised our tax take on the sale of fuel in this country for the last two years,” said Barrow. However, he stated that they are doing their best to solve this issue. “When we said in a press release that was issued, that we’re working with the importers to try to moderate the impact as much as possible, that wasn’t just glib or pious rhetoric.” According to him, the Government of Belize has been working with the importer, PUMA, to get the best price from the new sources. John Mencias of ALBA- PetroCaribe, which provides fuel for Belize stated that PUMA is now buying fuel from Texas, U.S.A. with which it supplies all its customers throughout the Caribbean and Central America. Barrow indicated that the fuel issue in Belize is due to the political situation in Venezuela and the economic and trade sanctions imposed on that country to purchase fuel elsewhere, under not-so-favorable terms as existed under the PetroCaribe agreement with Venezuela. The situation in Iran, the third largest oil producer in OPEC (Organization of Petroleum Exporting Countries), is also causing lowered oil production, with the demand causing world oil prices to rise. Barrow said it was the “perfect cocktail” for world oil prices to go up to US$100 per barrel, a circumstance that was totally outside the control of a small nation like Belize. In addition, Barrow made it clear that there is no way the government can lower its take on the taxes on imported fuel, as even a .10cents per gallon reduction in tax would result in a $2 to $3 million shortfall in the government budget.